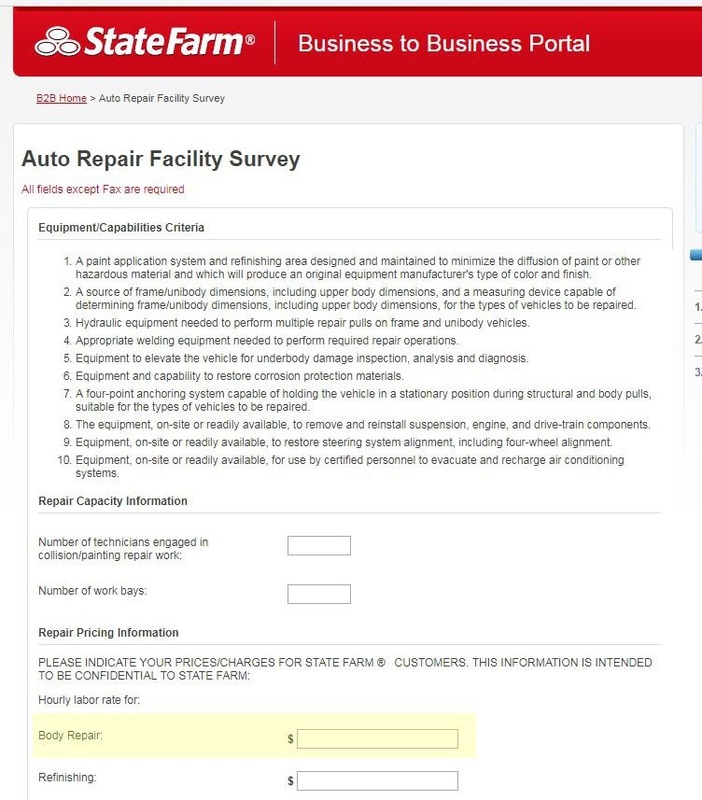 A new version of State Farm’s labor rate survey asks collision repairers to input a single auto body labor rate for “all material types i.e. steel, aluminum, fiberglass, etc.,” according to a screenshot provided to Repairer Driven News on Monday. A 2017 letter to shops from the nation’s No. 1 auto insurer declared it polled shops for “body, refinish and frame/unibody labor rates with the understanding these rates consider the repair of multiple material types (e.g. ; plastic, aluminum, steel, high strength steel, etc.) 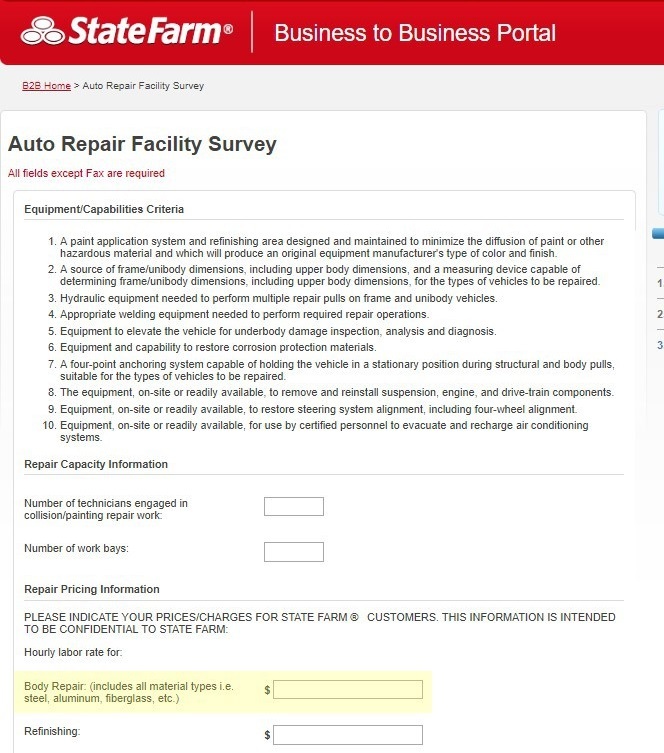 commonly found in today’s vehicle.” However, the actual survey question wording wasn’t revised to drive this point home until this year, according to examples of the 2017 and 2018 surveys provided to Repairer Driven News. 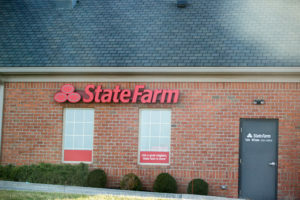 “Specialty repair processes and techniques not common in the market may be considered at a higher rate on a case by case basis without regard to surveyed rates,” State Farm wrote in the 2017 letter. A Google Cache image of the survey webpage from Oct. 7, 2018, lacks the parenthetical clarifying the body rate is meant to encompass “all material types,” suggesting the survey language change happened recently. Attempting to lump all substrates into a single labor rate in this manner would seem to render the resulting data not reflective of the actual marketplace. It is likely that a repairer’s steel body rate will be lower than aluminum, given considerations like additional investment in equipment and space required to correctly repair aluminum. If that’s the case, giving State Farm a uniform body repair rate would be inaccurate. Listing a lower steel labor rate would contribute to an improperly deflated market labor rate for aluminum, which could do customers and repairers a disservice during a dispute over reimbursing an individual shop with a higher rate for the nonferrous metal. If shops answer with their aluminum rate or attempt to split the difference with some value between the two amounts, State Farm is doing itself a disservice by judging steel labor by an improperly inflated market rate. 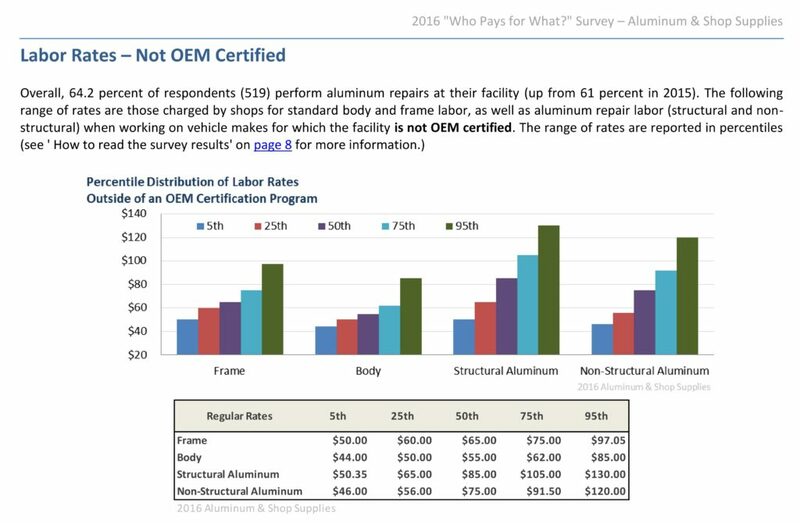 The October 2016 “Who Pays for What?” survey by CRASH Network and Collision Advice found a few hundred uncertified shops reporting insurers — including State Farm — agreeing to pay them more to repair nonstructural aluminum then steel.